A 19-year-old Oakland University student took his own life on campus Tuesday. 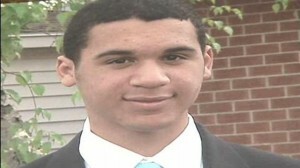 OU police said the death of sophomore Corey Jackson from Warren is still under investigation. The Oakland County medical examiner’s office confirmed that Jackson’s death had been ruled a suicide. Jackson’s family said he recently revealed to them that he was a homosexual, and that they believe he was bullied over his sexual orientation. They think the bullying led him to commit suicide.